When the travel company Hoppa released its list of worldwide holiday destinations ranked by price I wasn’t surprised to see the usual suspects at the top of the list. They calculated the prices by getting an average of the price of a hotel, food, drinks, entertainment and taxis, but they didn’t take into account any of the things you can do for free…so I set about investigating and have listed my five favorite options for some of the top ranking cities. Don’t write off these prestigious destinations just yet, as there is definitely a way to enjoy them on a budget. It should be no surprise that Zurich was right at the top of this particular list. 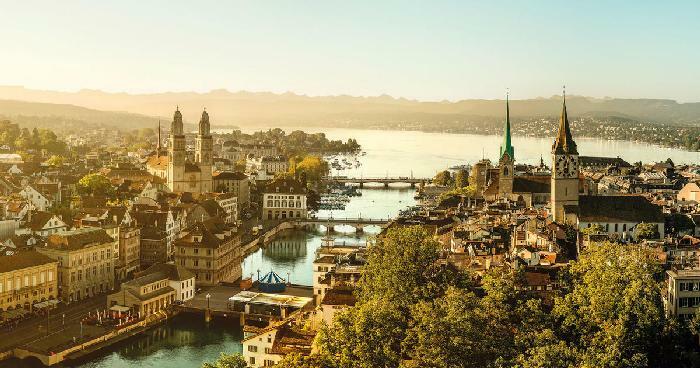 This is Switzerland’s largest city and it is most famous for its wealth and for being the home of a huge number of global banks and financial institutions. There is much more to this city than business, but its qualities as a holiday destination appear to have been disregarded by most explorers, and I suspect the price has had something to do with that. So what can you do to bring the cost of a trip to Zurich down? 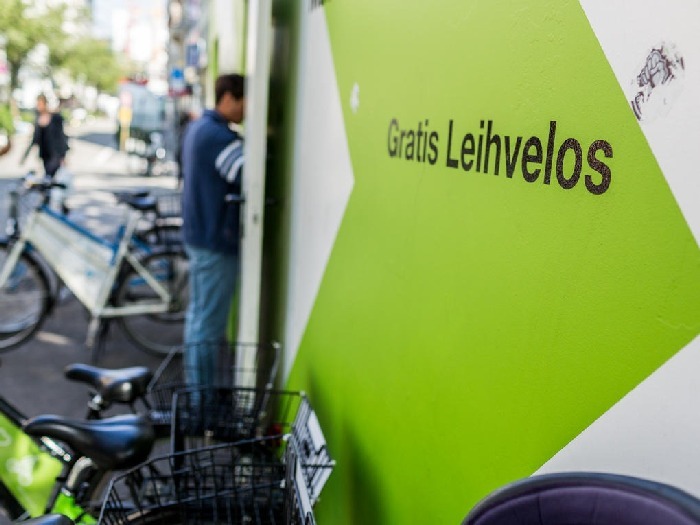 To start with, it is absolutely free to hire one of their city bikes! From 9 am until late evening there are at least two places to pick up and drop off your bike, and there are even more in the summer months. You just need to leave a deposit of 20CHF and the city is your playground. Now that you have transport all sorted, where to go? For more details regarding the pick-up points and timetables, visit their website. Make the absolute most of your new wheels by getting a free audio guide to the city, yes, just like the ones you get in museums, but for the city. On foot the tour takes around 2.5 hours, but it is a bike-friendly route too. The focus of the tour is climate change and you will learn much about what the city is doing to reduce its carbon footprint on the walk, but it does include more general tourist information too. You can collect an audio guide from the main train station for a small deposit, or you can download it straight to your smartphone from this website. 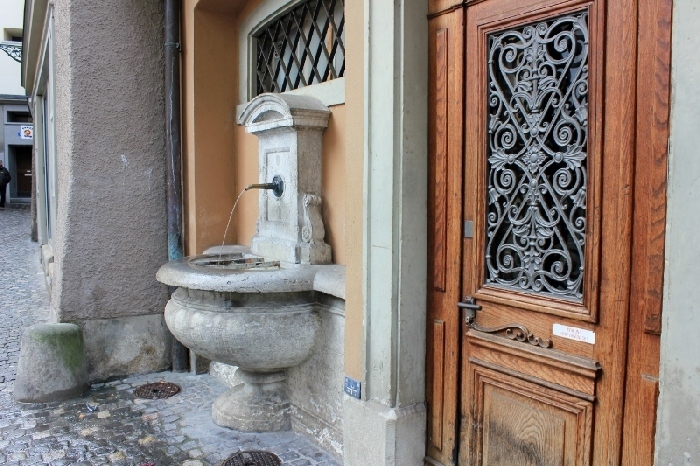 No need to buy a drink in Zurich because there are over 1,200 fresh drinking water fountains for public use and they aren’t just functional either. These are tourist attractions in themselves, often carved into beautiful and imaginative designs worthy of a place in any museum, and there is even a water fountain tour available so you can learn the history of the most elaborate effigies. If you’re parched and can’t seem to find the nearest fountain, don’t panic! You can use this site to find the one that is nearest to you! Now that you’ve become accustomed to the city, have had plenty of exercise and have re-hydrated yourself, it may be time to consider something indoors that can be taken at a gentler pace. I found it hard decide which of the many free museums to include here, as you can choose between the Zoological Museum, the Paleontology Museum, the Archaeological Museum and many more. There really is something for everyone, but my personal favorite has to be focusTERRA, the state-of-the-art museum about planet earth with interactive installations and explanations of everything from the center of the planet to the tops of the mountains. Plan your visit using their website. I am not a big fan of zoos, but the Langenburg Wildlife Park is a little different. 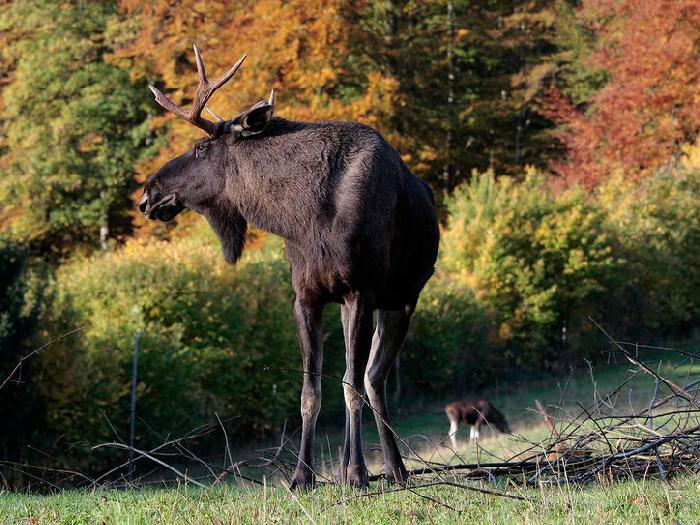 Just outside Zurich this is an area of natural beauty that is inhabited by a range of animals including wolves, otters, horses, bears and many more that live naturally in the wilds of Switzerland. There are no enclosures and the animals are allowed to roam freely and behave exactly as they would in the wild while you wander through designated paths and get to observe them. This is an incredible place you can enjoy for free and it should definitely be on your itinerary. Their official website isn’t available in English, but there are lots of details about the park to be found here. This is a city that requires very little introduction and going here for a holiday is synonymous with expense and extravagance. It is not surprising when you consider the prices of visiting the usual tourist hot spots with the Empire State Building costing a whopping $27 and $23 for the Statue of Liberty. This is the usual daily allowance for most budget travelers. The good news is that there is another side of New York City waiting to be explored, and some might say that it lends itself to a more adventurous and fulfilling experience of this iconic metropolis. It should be taken for granted that parks are free to enter, but the parks on offer in NYC have a little more to offer. 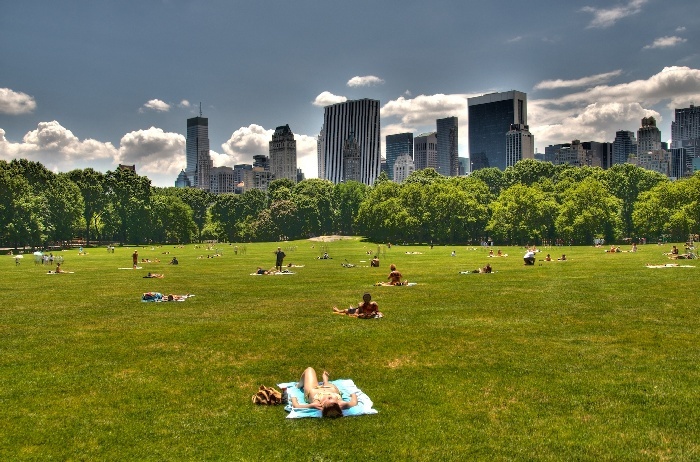 There is obviously Central Park, which is filled with street performers and a selection of New Yorkers that must be seen by anyone visiting the city, as well as the regular free concerts and events, but there are a lot more green spaces to be enjoyed. There’s the Socrates Sculpture Park on the river in Queens, which started out as a dumping ground but was reclaimed by artists and is now home to unusual art installations that are constantly changing. They also hold free events here such as yoga and film screenings. The High Line is my personal choice because it is unique! This was an abandoned elevated railroad that has been transformed into a green space that feels like an attraction you should pay top dollar for. A landscaped pathway 30 feet in the air with incredible views of the Hudson River at no extra charge, you get to walk from the Meatpacking District all the way to the Chelsea Galleries, which is our next stop. You can visit www.nycgovparks.org for a full list of all of the city’s green spaces, including interactive maps and lists of free events and concerts. If you love art then you are going to be in heaven if you venture to the blocks between 10th and 11th Avenue in Chelsea. Here you will find over 80 galleries packed into 10 streets with every style of art for you to enjoy, and all of them are free. This website lists them all and has a handy interactive map so you can tick off the ones you’ve visited as you go along. Allow some time and wear comfortable shoes! 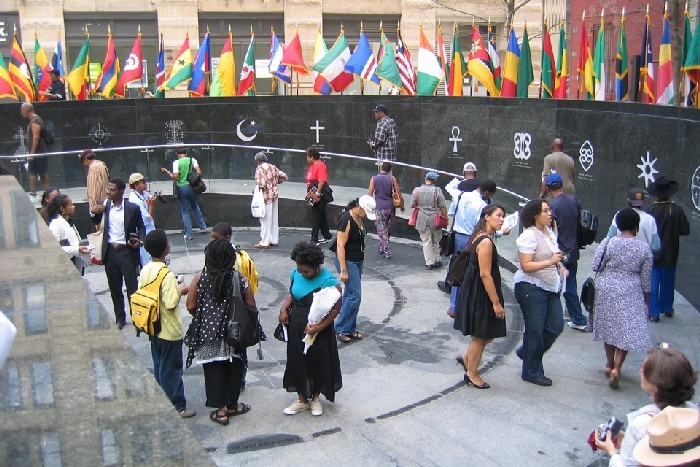 The African Burial Ground offers a fascinating insight into New York’s more macabre past. In 1991 construction in this location uncovered hundreds of caskets holding the bodies of African slaves, and further investigation found that several thousand had been buried on the site in the 17th and 18th Centuries. The building has now become an excellently curated museum that gives valuable insight into this side of New York’s history. More details on the installation can be found here. Every Friday at around midday there is a walking tour operated by the Grand Central Partnership. This is an hour and half of informative sightseeing that just happens to take you past a number of other free attractions that you will definitely want to take time to see. Familiarize yourself with the area and the history on the tour and then go back and take some time to visit The Chrysler Building, Grand Central Station and the breathtaking New York Public Library, which also has free tours operating at 2 pm…so you should be able to squeeze that in too. The Grand Central Partnership has their own website with more information about them and their tours, which you can find here . I’m squeezing two very different options into one category here, as I couldn’t decide between the two. As I have already mentioned, entry to the Statue of Liberty is definitely not free, nor are the expensive ferry guides, but it may surprise you to learn that the Staten Island Ferry is completely free. 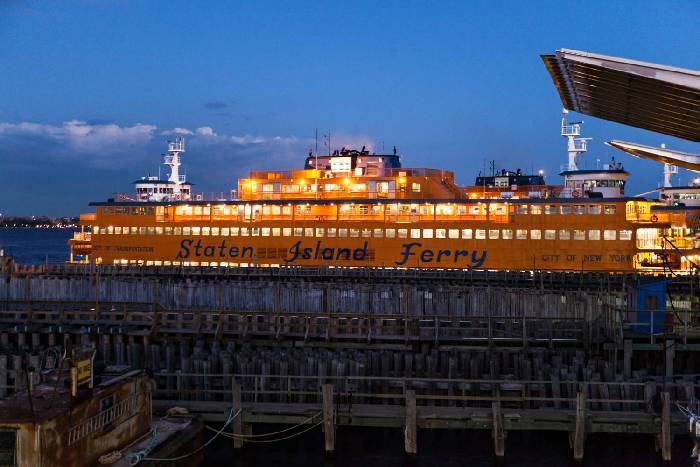 For the use of busy New Yorkers commuting to work, this ferry runs regularly all day long and gives you incredible views. The other boating option is kayaking! There are several public boathouses along the Hudson River and the majority of them offer a 20-minute kayaking session, including all the equipment you need for free. This seems like an experience not to miss and certainly something you’ll want to casually drop into conversation at your next dinner party. The Downtown Boathouse website gives more details on the offer here. 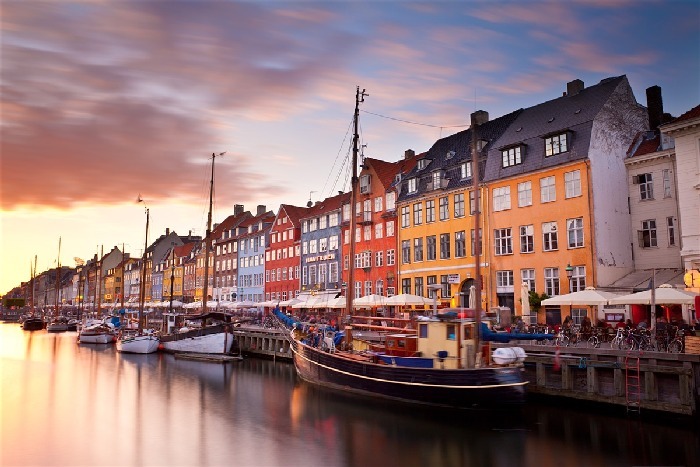 Copenhagen has come a long way from its humble beginnings as a Viking fishing village way back in the 10th Century, and it is now listed as the third most expensive place to visit on the planet. It is a city defined by the waterways that intertwine themselves around and through the city streets. The rather austere-looking buildings of Christiansborg Palace are a good place to start. This is the official residence of the Danish Parliament and you have to pay for tours and access to the main building, but you can enter the church and, more significantly, the tower for free. This tower is the tallest building in Copenhagen and from its top you can see the entire city laid out before you. From here you can even see the city of Malmo in Sweden, which is just across the water and accessible by bridge. This is a good place to get your bearings, take some unique selfies and decide where to go first. Information about all of the royal palaces in Copenhagen can be found here. Yes, I know walking is always free, but this walk has a little more to offer. There are in fact free walking tours available in Copenhagen, so you could start by familiarizing yourself with the city on one of these by visiting this site. Alternatively, you can just hit a few of the best things to see for free by yourself. 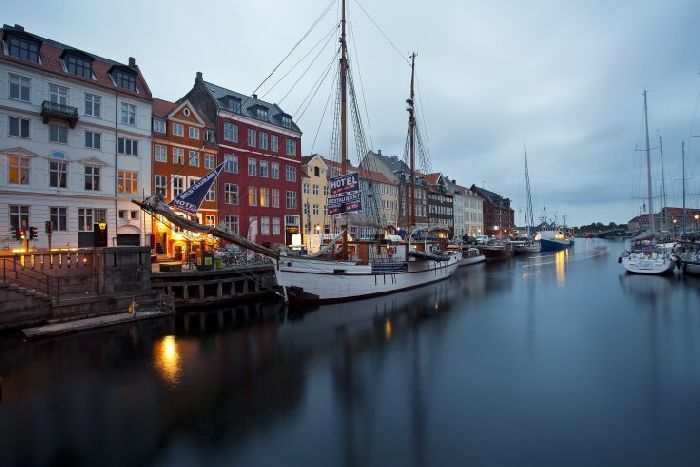 Starting at the magnificent Nyhavn dock, you can enjoy the spectacle of the colorful historic houses that line the waterway and watch the comings and goings of the traditional long ships while keeping an eye out for number 20. This was the home of Hans Christian Andersen when he completed his first book of children’s fairy tales. It is easy to see how he came up with them in these magical surroundings too. Continue from here along the river to the harbor and in less than 20 minutes you will be able to see the famous Gefion fountain, which stands next to the Kastellet. This is a fascinating star-shaped stronghold that was constructed to defend against marauding hoards in the 17th century. A little further on and you reach the iconic Little Mermaid. As walks go, I think this one rates rather highly. The best time to take in the official home to the Danish Royal Family, the Amalienborg Palace, is at around midday when you will catch the changing of the guards. A visual treat, it is accompanied by a full brass band should the queen be in residence at the time. In the center of Copenhagen you can find a peaceful and bountiful refuge from the city streets in the enchanting Botanical Gardens. They are the property of the university and a place of scientific research, but you can enjoy the products of their labor for free. The attraction has an indoor tropical paradise for you to enjoy if you need to come out of the rain. You can find out more about the gardens and the research that is done there by visiting their website here. 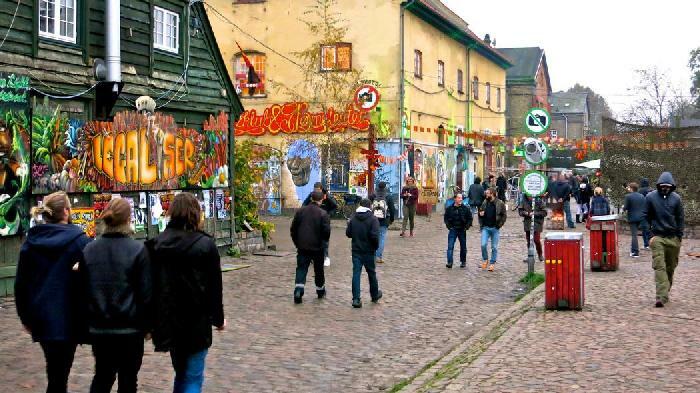 No trip to Copenhagen is complete without visiting the unique and provocative settlement of Christiania. In the four decades that have passed since then, the barracks have been transformed into a settlement like no other. This intentional community now occupies 84 acres and it has transformed the grey utilitarian buildings and streets into a colorful and ornamental paradise with art galleries, shops, restaurants and cafes. It even has its own currency and flag. This place is pretty much self-governing with no intervention from local authorities or police and is a peaceful haven for those who want to take community living to the next level. Feel free to wander around, but realize you may leave your heart there. The capital of New South Wales on the eastern coast of Australia has grown to become a dynamic, modern, multicultural and contemporary city with barely a trace of its beginnings as a penal colony in the 1700s. It has been one of the most expensive cities to visit for many years, but it also rates highly for having an excellent quality of life, so it is definitely worth trying to see this unique capital on a budget and there are quite a few ways to enjoy the city without breaking the bank. The 555 shuttle bus is totally free all day every day, so you don’t have to worry about wearing yourself out walking to see all the sights on offer in this incredible city. This is a circular route around the Central Business District that will take you to China Town, the museums and the quays and you can hop on and off as you please! Find details of the route and stops here. The iconic Sydney Harbour Bridge has a pedestrian walkway on its eastern side that is completely free of charge to use. The views of Sydney from this location are breathtaking and include the famous Sydney Opera House. You’ll get the chance to take some astounding pictures from here as you watch the ships coming in and out of the harbor. A visit to Sydney would be incomplete without taking time to watch the crowds and the beautiful young things enjoying the legendary waves on Bondi Beach, but there are far more beaches and coves for you to consider while you’re here. 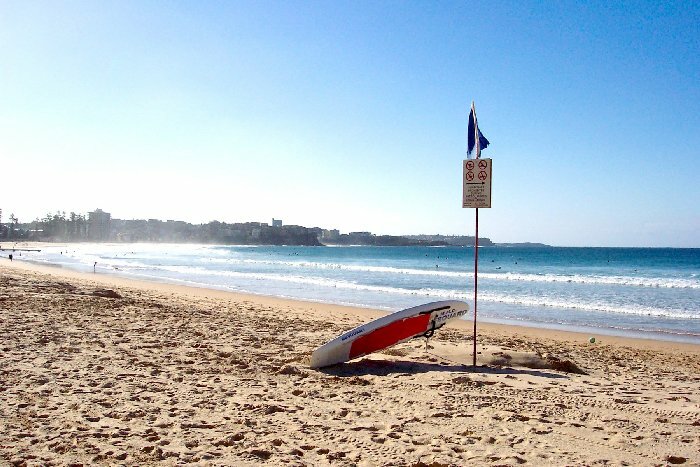 There’s Camp Cove, which is a hidden gem with white sand and calm waters, enjoyed by some of the wealthiest residents of Sydney who have their homes here. You could also take time to see how much of Sydney’s indigenous marine life you can spot at Shelley Beach or Gordons Bay. The Royal National Park is not just a place to take the kids on the weekend. This park features, forests, lakes, coastal walks and wildlife, and it is free to those visiting on foot. Put aside a full day for this remarkable natural paradise, as you will want to make time to go fishing, picnicking, whale spotting, swimming and bushwalking. Learn more about what’s on offer here at their website. 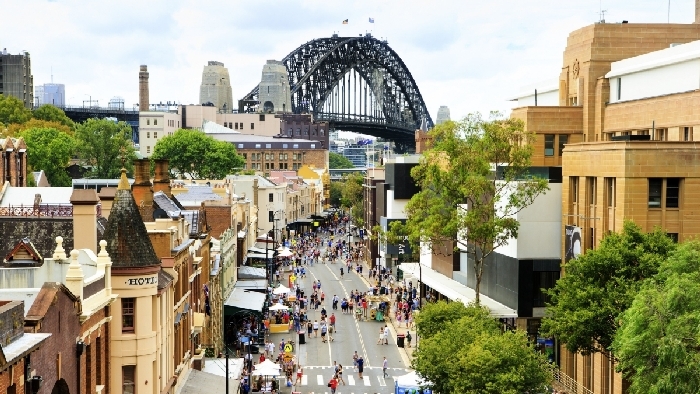 The Rocks is the oldest part of Sydney and is worthy of being a holiday destination by itself. A far cry from the ultra-modern city, here you will find cobbled streets and wooden framed houses that speak of its heritage as the site of the original European settlement which sat amongst the primary evidence of a culture before colonialism. The Rocks Discovery Museum is an excellently curated museum that takes you from pre-settlement all the way to the current day and it is free to enter, but for a more autonomous tour of the area you can download a free walking tour app that will guide you through the streets of The Rocks and make sure you don’t miss any of its rich and varied history. For more information on the area visit this. 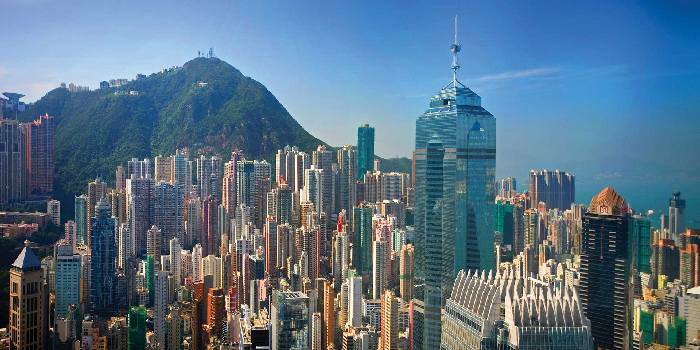 Former British Colony Hong Kong is the epitome of the urban, metropolitan, capitalist haven. Defined by skyscrapers, billboards, brand names and crowds, it is the ultimate in sophistication and prestige while maintaining an underlying traditional culture. This is not a city one associates with budget travel and there is no doubt that a visit here is going to put a sizable dent in your bank balance, but there are a surprising number of things you can do for free to offset that price tag and these are some of the best on offer. The most spectacular aspect of Hong Kong is just the way it looks, and finding a vantage point to take all of that in is both free and priceless. This is true at any time of day but every night at 8 pm the skyline of this sprawling metropolis turns into a musical light show unlike anything you have seen or heard before. You can take the lift to the 43rd floor of the Bank of China to watch this and you can hear the soundtrack by dialing a free number on your phone. There are a couple of other viewing spots, but this is universally recognized as being the best. If the soaring skyscrapers and inescapable throng of people become too much then there is a peaceful sanctuary to be found in Hong Kong park. Here you are likely to find locals practicing Tai Chi amongst the dizzying array of exotic plantlife, and the corner of this outstanding place is a real find. 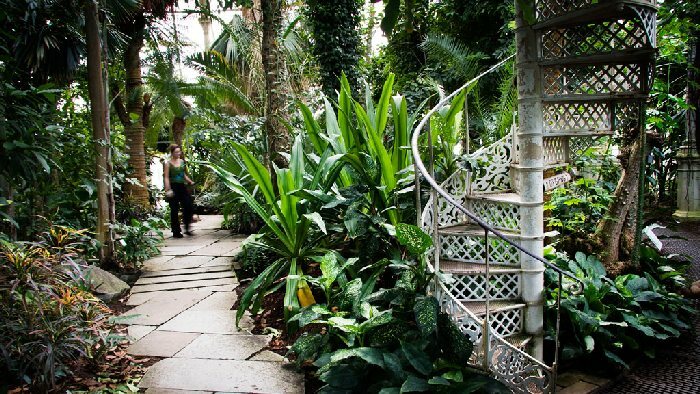 Rising from the lush greenery is the dome of the Edward Youde Aviary. It’s free to enter and you will easily lose a few hours in this tropical paradise trying to spot all of the 80+ varieties of bird life. The smoke and noise of the city will soon be a distant memory within a few minutes of entering. 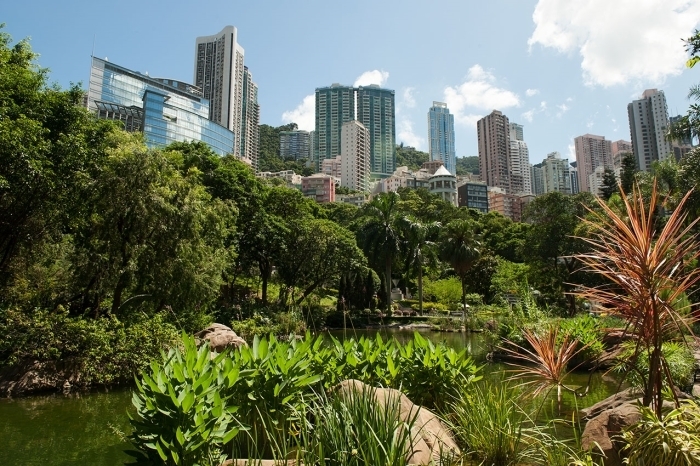 To find out about all there is on offer at Hong Kong Park, visit their official website. Hong Kong has a rich and diverse heritage of filmmaking, with masters such as Jackie Chan and Bruce Lee making their names here. 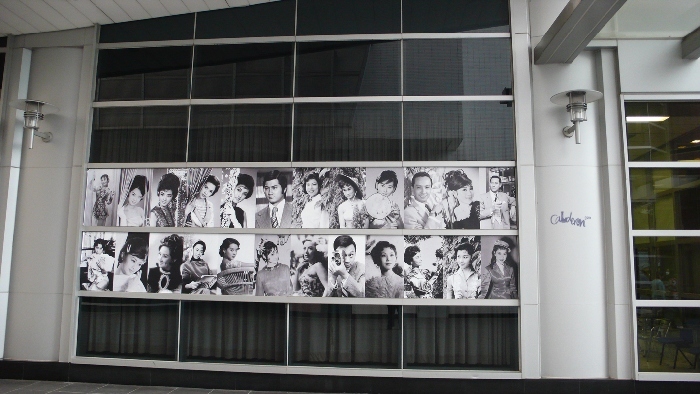 At the Hong Kong Film Archive there are regular screenings of their classics to be seen for free. Visit their website to see the latest schedule and to get a taste of Hong Kong through its film history. This city can seem to be very sanitized with financial institutions and perfect malls on every major street, but take a trip to ChungKing Mansions to see a different side to the city. This is a unique horseshoe-shaped arcade that dates back to the 1800s and is home to tenement housing, street food stalls and independent traders. Even if you’re not planning to shop, it is definitely worth a visit for the experience. It is impossible to walk five yards in Hong Kong without seeing one of its splendid temples. This city may be a living monument to the modern world, but it has maintained its transcendent roots and these places of devotion must be seen to be believed. These are testaments to the enduring human desire for spiritual fulfillment, and you will leave with a sense of calm and emotional well-being, recharged and ready to take on the city that never sleeps. This veritable adult’s playground surrounded by the Mojave Desert in Nevada is synonymous with gambling, hedonism and excess, so it is no surprise to find that it is near the top of the most expensive places to visit list. However, there is far more to this glitzy, over the top paradise than casinos and showgirls, and here’s how you can save yourself some pennies for the slot machines and get to see a different side to this infamous sin city. Every inch of this place is a visual masterpiece, with every casino pulling out all the stops to lure you inside. This means that you can see the fountains of the Bellagio, the overhead lightshow on Fremont Street, the Steetmosphere performers at the Venetian and the erupting volcano at The Mirage and so much more, without spending a penny. It will take more than one day to see all the free entertainment that this city has to offer. I doubt anyone heads to the desert in the hope of seeing real-life mermaids, but in true Vegas style that is exactly what you get at this bizarrely placed aquarium at the Silverton Casino. Again, chocolate and desert heat really don’t seem to mix, but this is the place where dreams come true, and who doesn’t dream of chocolate? There are not one, not two but three chocolate-themed places to visit in Las Vegas. Hershey’s Chocolate World’s two stories of chocolate-themed delights are overshadowed by the four stories of multicolored cocoa treats on offer at M&M world or you could choose to go to Ethel M’s chocolate factory tour, which offers a cactus garden for you to enjoy…of course! All of these attractions are free to enter and there are a few free samples to be had, but you’ll need all your willpower to keep it completely free to leave! Sandwiched between The Monte Carlo and New York New York is the imaginatively titled The Park. While the name didn’t seem to take much thought, the three acres of park certainly did. This oasis of calm in the middle of all the crazy is beautifully landscaped with foliage suitable to the desert climate and filled with statues and cool restaurants and bars. There are also a huge number of free events taking place at the purpose-built stage, and for more information you should visit the website. 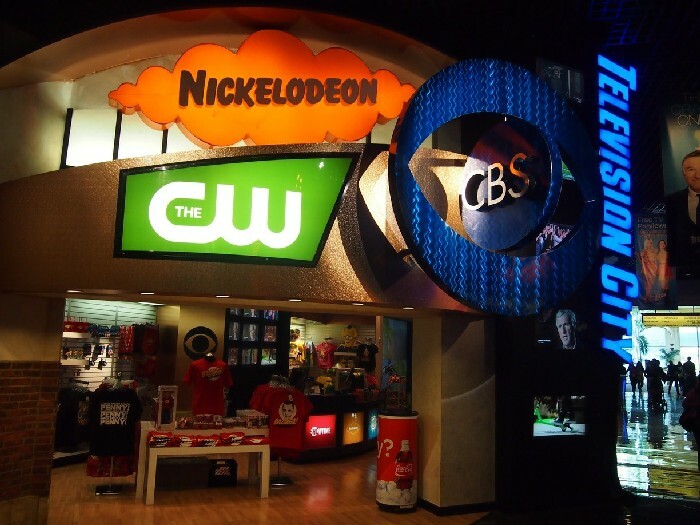 Then you should probably visit CBS’s Television City housed at the MGM Grand. Far more than an attraction, this is one of the CBS research centers, which in short means that they want your opinion on their new shows. Get a free ticket to the screening of any of their pilot shows and then give them your opinion at the end. It’s a chance to get involved in the next big TV show before it gets close to the networks. This is something completely different and an experience not to be missed if you’re a fellow lover of the boxset. Find out more about the facility here and book your seat for free! I hope this has inspired you to consider some of the pricier vacation options. These lists are certainly not exhaustive and every major city has a huge number of things for you to do and see for free, so don’t let the price of getting there put you off. There are plenty of ways to bring down the cost of your holiday and still have the time of your life in some of the most glamorous locations worldwide. P.S. What can you personally add to these lists?